I had a bit of trouble with these pages when I began working on them. You know how sometimes you envision what something will look like before you start, only to have it look completely different when you finish? Well that's the problem I was having with these pages. I knew the concept I wanted to convey, the photo I wanted to use and I had no trouble constructing the window. But suddenly I hit a road block and couldn't figure out how to illustrate what I wanted to express. So I let the pages sit over night and when I came back to them this morning, everything fell into place. Which speaks volumes for walking away from your art when you feel stuck or frustrated. The photo I used is one of my daughter when she was about 3-4 years old. (She is now 22 years old.) She was dressed as a princess for Halloween and I thought it conveyed a "what do you want to be when you grow up" feeling. So from there I asked myself what are MY dreams for her future? 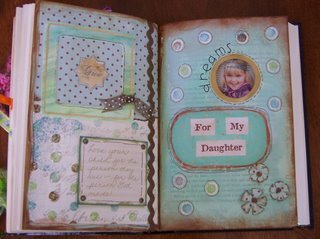 I used the colors teal and brown because this combination is my daughter's current favorite. The quote is a reminder to accept our children for who they are instead of who we want them to be. 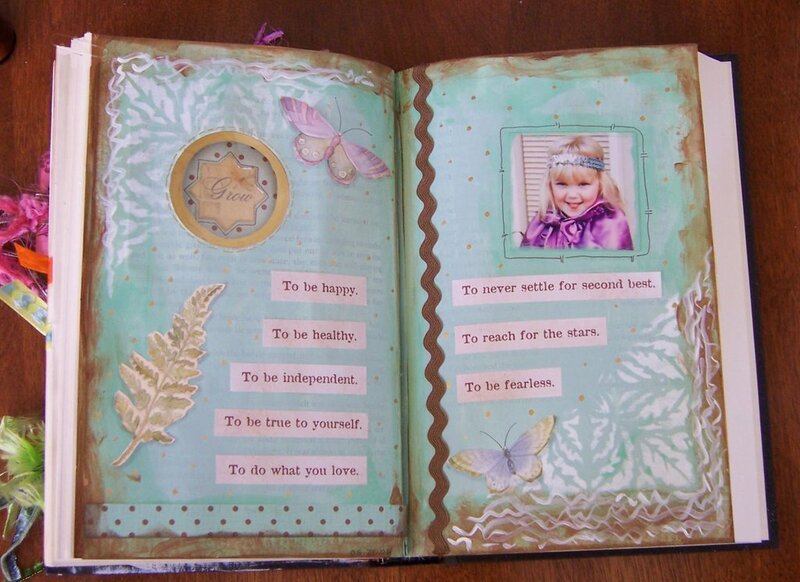 I added the butterflies to evoke a feeling of being set free into the world. The "grow" epoxy sticker, which I positioned to show through the back side of the window, expresses how much my daughter has grown since the picture was taken. These pages are just beautiful! 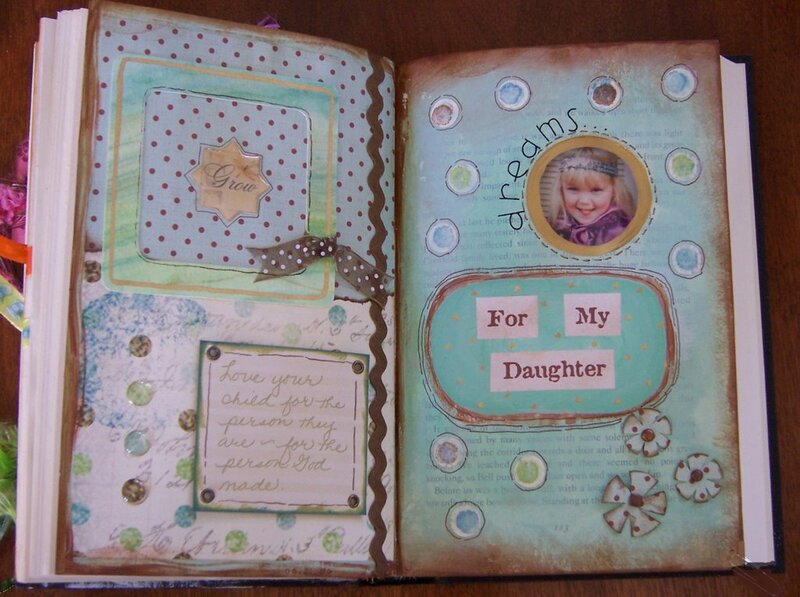 I love the papers you're using, the pictures, and the words. So glad it all fell into place after you walked away from it overnight. I find myself having to do that as well. Your work is wonderful!! And dreams keep growing too. These are beautiful. Thanks ladies! 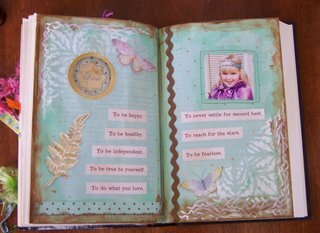 This Book of Dreams challenge is great and seeing everyone's pages is so inspirational!